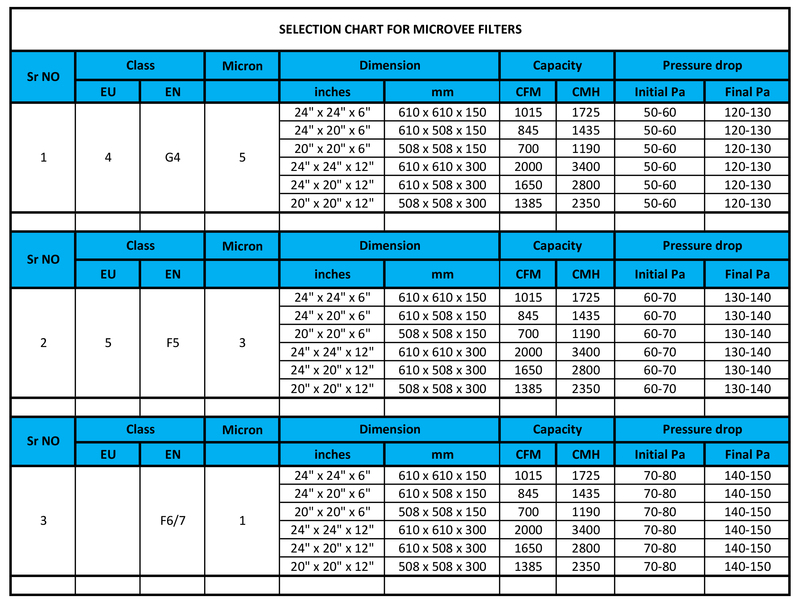 Also known as fine filters or 5 micron /3 micron filters, & are suitable for both EU-5 and EU-6 operations. Filters particles down to 5 or 3 microns; with an efficiency of 99.9 % Recommended for industrial and class applications. These filters can be directly installed in AHUs or mounted in banks in separate single skin plenums. Superior quality non woven synthetic filter media with regular labyrinthine structure being built or synthetic fibers, which are bonded together by a special resin. This media is bonded between two layers of HDPE mesh , which act as a retainer. Large number of pleat of the media enhances the filtration area for better efficiency . To improve the efficiency of the filters, they are made 100% leak proof by securely fixing the media pack to the periphery of the enclosure frame using epoxy hardener.